We have a team of qualified, experienced & dedicated teachers to take care, to recognize and appreciate strengths and weaknesses of each individual student and bank on teaching strategies and teaching material that are appropriate in the classroom environment and benefits every student. The team not only inspires and encourage students to give their best but also develop in them a sense of responsibility, sense of self appraisal, towards self reliance and self esteem. 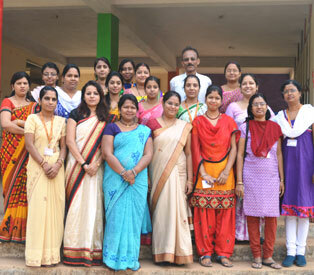 The teachers undertake such tasks, that enthuse students to be more communicative, responsible and involved.